For most of us, the word neon conjures images of lights, colours, nightlife, and streets. It evokes the poetry of city nights. For Luis de Miranda, neon is a subject of philosophical curiosity. Being & Neonness is a cultural and philosophical history of neon, from early twentieth-century Paris to the electric, perpetually switched-on present day Manhattan. It is an inspired journey through a century of night, deciphering the halos of the past and the reflections of the present to shed light on the future. Invented in Paris in 1912, neon first appeared on a modest but arresting sign outside a small barbershop; the sign lit up number 14, Boulevard Montmartre, attracting so many passersby that the barber’s revenues soon doubled. A century later, neon is no longer just a sign; it is a mythic object—a metonym of contemporary identity and a metaphor for the present, signifying the ubiquity of commerce and the tautology of hypermodernity. But perhaps the noble gas of neon whispers something more, something deeper? 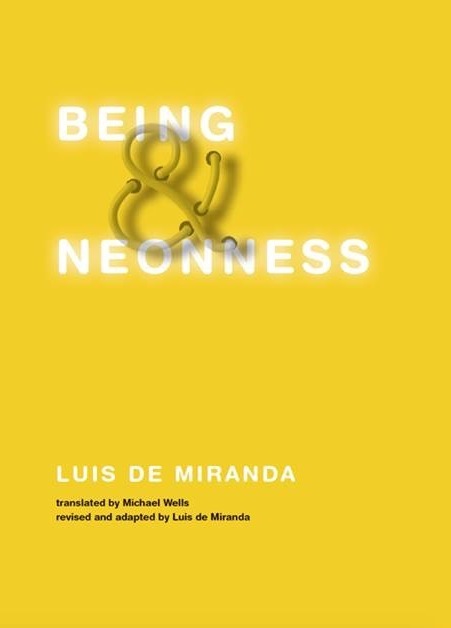 In ten short, poetic yet precise chapters, de Miranda explores the neon lights of the twentieth century. He considers, among other historical curiosities, the neon compulsions of the Italian Futurists; the Soviet programme of “neonization”; the Nazi’s deployment of neon for propaganda purposes; Baudelaire’s “halo” and Benjamin’s “aura”; neon as a gas and crystallized chaos; neon and power; neon and capitalism—all of this backlit by an original reading of Sartre’s Being and Nothingness.